Welcome to the Mindful Editor, an annual seminar held by Smock Media and Moving Picture Institute. Over the years our human freedom filmmaking community has made huge strides in story development and production. But our creative community cannot truly thrive without developing and supporting the craft of talented post-production professionals. That’s what our seminar, “The Mindful Editor: Capturing Empathy in Film” is all about. 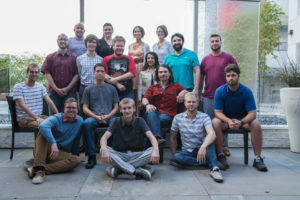 Directed by Smock’s own Hawk Jensen, this immersive seminar will teach advanced holistic editing techniques to seasoned editors and directors. 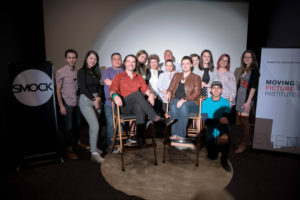 Featuring top industry professionals, the experience will focus on reaching wide audiences by appealing to empathy in narratives and documentaries, while reducing the creative burnout that comes with editors and creatives’ demanding schedules. This exclusive and intimate seminar will include: an introduction to mindfulness and its use during the editorial process; engaging lectures on targeting your audience and podular editing; a hands-on opportunity to apply your skills on a shared film project using dedicated professional edit bays for attendees (working in teams of two); and close supervision from and collaboration with onsite entertainment industry editors and directors. Our primary goal is to help human freedom filmmakers and post-production professionals connect with their audiences through every frame. Additionally, we want to help this network build a robust support community – all while gaining a new appreciation for the unsung hero of filmmaking, the editor.